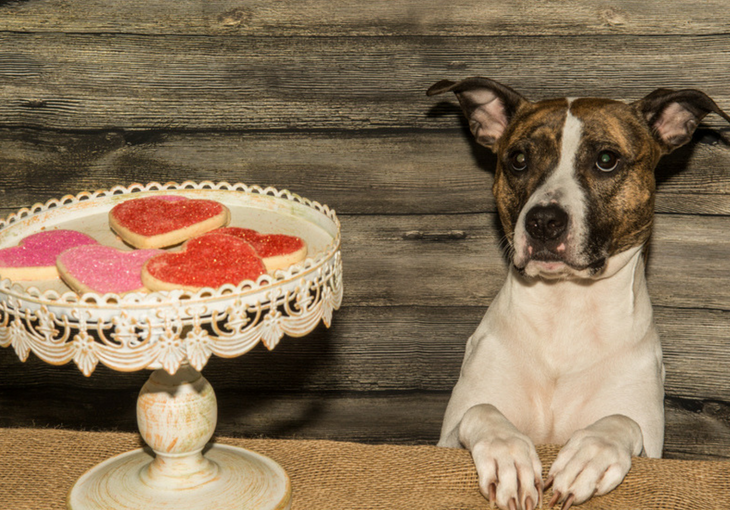 →Is It Safe To Feed Dogs From the Holiday Table? Is It Safe To Feed Dogs From the Holiday Table? Holidays are a time for family and there's no closer family than the lovable pooch that licks your face and chews your shoes. So, of course you want to include your dog in all aspects of the holiday celebrations, including the festive food. However, there are many holiday foods that are dangerous for your dog to eat ​and may even be lurking in places you don't even realize. Consider this a condensed "survival guide" to feeding your dog from the holiday table. All members of the onion family can badly harm, even kill, your dog. Thus, this is not an ingredient where you want to take any chances. Aim for ZERO onion, garlic, etc! The sulfides in onion family vegetables will oxidize your dog's hemoglobin, the molecule on the red blood cells that carry oxygen to all parts of the body. This causes anemia and will weaken your dog even in small amounts. Under the microscope, evidence of this is seen by purple dots on red blood cells, also called Heinz bodies. Don't allow your dog even one lap! While most dogs are repelled by the smell of alcohol, some will just want to drink whatever you're drinking. Also, if it's mixed drink, your dog may be attracted by smell to the other ingredients. Alcohol will poison your dog's nervous system. It also causes heart palpitations, shortness of breath, and comma. Again, not even a drop... be strict! Most people think it's the caffeine in chocolate that is so toxic to dogs... and it's true, caffeine is harmful to dogs. However, chocolate contains high levels of another chemical, theobromine, that is much more harmful. While humans are able to flush this toxin out of their system relatively quickly, dogs cannot and it just builds up. Dogs with theobromine poisoning get very hyper and many die of a heart attack. It can also cause muscle tremors and seizures. The darker the chocolate, the more cocoa bean it has, and thus the more theobromine it contains. It's best to deny your dog ALL chocolate. Like chocolate, coffee and tea contain theobromine and caffeine. Raw poultry bones are not that dangerous to dogs. However, after they are cooked, they splinter very easily. This makes them a serious choking hazard and they may rip your dog's digestive tract. Do not just hand your dog the turkey carcass! Many of the spices that make food "smell like the holidays" are poisonous to dogs! Nutmeg tops this list because even a tiny amount can kill a small dog so be very careful! All of the spices on this list, to varying degrees, will attack your dog's nervous system causing seizures, tremors, and sometimes death. Cinnamon is somewhat debated but most experts agree it's better left out of your dog's diet. BE CAREFUL! People often bring sugar free desserts to holiday gatherings to save on calories and to allow diabetics to partake in the after dinner delights. Many of these sugarless desserts contain xylitol, a sugar substitute that can be very harmful to the point of being deadly, even in very small portions so BE EXTRA CAREFUL WITH THIS ONE. Xylitol causes a surge of insulin and this can cause a dangerous drop in blood sugar (extreme hypoglycemia) which your dog can die from. It also causes liver damage, vomiting, and staggering. If your dog eats any xylitol by mistake, get him to the vet immediately. The symptoms of xylitol do not show up immediately. These are dried grapes, one of the most toxic foods for dogs! Avoid them completely! Eggnog is a multiple ingredient offender so should NEVER be offered to a dog, not one lick! Alcohol is a big no no! Even the non-alcoholic versions almost always have nutmeg, another big no no! It's also loaded with fat and sugar, which dogs can't handle well. Salt - It's very easy for dogs to get sodium ion poisoning if they eat too much salt. It's better to serve them "bland" food. Sugar - Dogs react to sugar much like a diabetic human does so it causes a serious spike in their blood sugar which can then come crashing down to dangerous hypoglycemic levels. Fat - Dogs don't metabolize fats well at all. Trim the fat from the turkey and avoid feeding your dog any food containing butter or oil. Dairy products like ice cream also contain a great deal of fat. Nuts - Nuts are a choking hazard, are very fatty, and cause intestinal stress in dogs. It's best to avoid them. Beware of the Onion and Garlic Powder! ​This ingredient is very common in processed foods. You'll find it in the sausages we add to the dressing, pre-made stuffing mixes, turkey gravy mixes, sauces, salad dressings, and frozen foods to enhance the flavor and often in very high quantity. People sometimes sprinkle garlic and or onion powder on their turkey. Keep in mind too that onion and garlic in powder form is much more highly concentrated than raw onion and garlic cooked into dishes so it does not take much. One bite of sausage for a small dog can lead to major problems. ​While pumpkin and sweet potato is perfectly fine for your dog, even healthy in fact, the spices that are often added to these main ingredients at holiday time are not. This time of year, you'll often find these spices in other treats like cookies, cupcakes, and fruitcake. Many people, especially old timers and gourmet cooks, add nutmeg to greens! So, if Aunt Martha comes in with a big dish of her famous collard greens with a "secret ingredient," pull her aside and ask her for your dog's sake. Nutmeg can also show up in green bean casserole and other vegetable dishes. Raisins! Best not to give your dog any sauces unless they're homemade and you know exactly what's in them. Generally speaking, it takes more of a harmful food to hurt a big dog versus a little dog. Thus, if you have a Chihuahua or a small terrier, for example, you'll need to be much more careful than someone with a big Labrador Retriever. This is the same with kids versus adults on the human side. Okay, with all these restrictions, how does your favorite canine join in with the holiday celebration. Make your dog a special holiday platter with safe holiday food. Use a festive platter that is very distinctive from the people dishes. This way, the whole family (and guests) can enjoy feeding bites of acceptable holiday food from this special platter to the pampered pooch! Turkey, duck, and goose meat is healthy for your dog, as long as you don't feed them any part of the skin seasoned with salt and potentially harmful herbs. Therefore, cut chunks from the interior of the bird you are serving. Both dark and white meat is good for your dog. If your bird is extra salty or was "pre-brined" (read the package), limit the quantity more. You can also cut a piece of the bird off before you season it and bake it separately. For the mashed potato element, you can just mash a bit of the boiled potatoes before you add the butter, milk, etc, and put that on your dog's holiday platter. Don't leave your pooch out when it comes to the sweet potato casserole or pumpkin dishes either. Just cook them up some plain sweet potato and or pumpkin and put this in the designated dog dishes. These foods are extra healthy for your dog and will look festive when you place it with the just of the holiday spread. Don't add sugar, salt, sugar, or seasonings. A LITTLE cranberry will not kill your dog but it can harm them if they eat too much. This is because there's so much sugar added and because it can cause calcium oxalate stones in your dog's bladder. So, it's much better to add color to your dog's special holiday platter in other ways. Add some slices of red apple and carrot sticks, both very safe foods. You can add a few strawberries too but don't overdo it as they may contain a lot of sugar which is not good for your dog. Dogs can also chomp on green beans (just set some aside for them before you make the green bean casserole), broccoli, and any kind of lettuce (some dogs love it believe it or not). There you have it... a beautiful holiday dog feast with all the rich colors of the holiday as well. Dogs can stay safe and not feel left out. When you have a crowd of people over, it's impossible to watch what everyone does. Furthermore, many of your guests may think it's perfectly fine, and even in the holiday spirit, to slip your dog some goodies. To counter this, ding the wine glass and make a special announcement that you don't want people to feed the dog anything but what you put on the specially designated holiday dog platter. Be firm but polite and tell the kids twice... and ask the parents to tell them again. PetMD - Holiday Leftovers for Your Pets? Natural Wonder Pets - How Harmful Is Alcohol to Dogs and Cats? 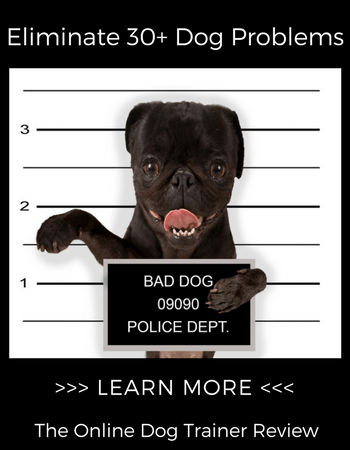 Pet Poison Help Line - Is Caffeine Poisonous to Dogs? Can I Give My Dog - Read This Before Sharing Nutmeg w/ Your Dog! The Honest Kitchen - Is Cinnamon Safe For Dogs?